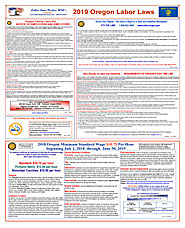 2019 - Federal & Oregon - ( Laminated ) - 2 Poster Set. ( Size - 18 x 24 each Poster ). 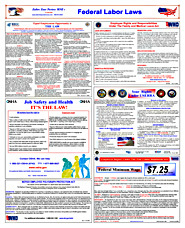 Discounts & Free Shipping - You must call us 800-814-8321. Discounts can't be done with this shopping cart at checkout. It has to be done over the phone. *** To Qualify - Your Order must be ( 10 or more Sets ) or ( Any State Combination to Equal = 10 Sets ). Free Shipping is 1 Location Only.